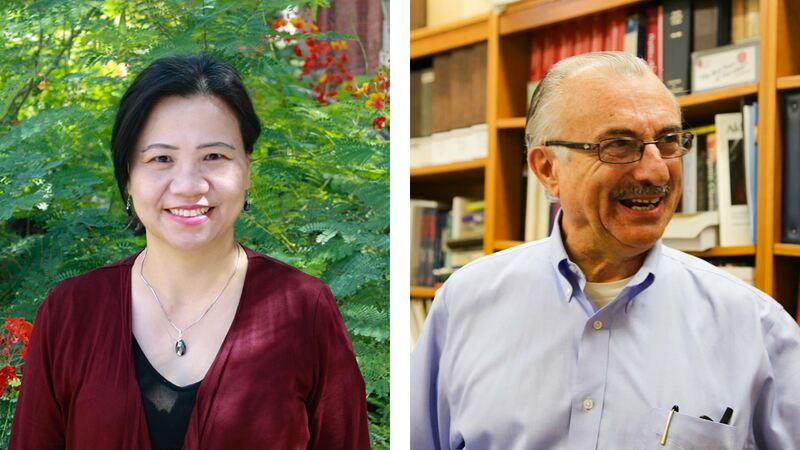 / Modified jun 4, 2018 10 a.m.
Minying Cai and Victor Hruby, the co-founders of MCR Therapeutics and researchers looking at how altering skin pigmentation might prevent skin cancer and diseases. Two long-time researchers at the University of Arizona are using small pieces of natural proteins in the body called peptides to alter skin pigmentations that build a natural shield against UV radiation. Minying Cai and Victor Hruby have been working together for over 20 years and wanted to do something about melanoma, the fastest-growing cancer in the world. Small pieces of natural proteins in the body known as peptides were used by Dr. Minying Cai and Dr. Victor Hruby to alter skin pigmentation. 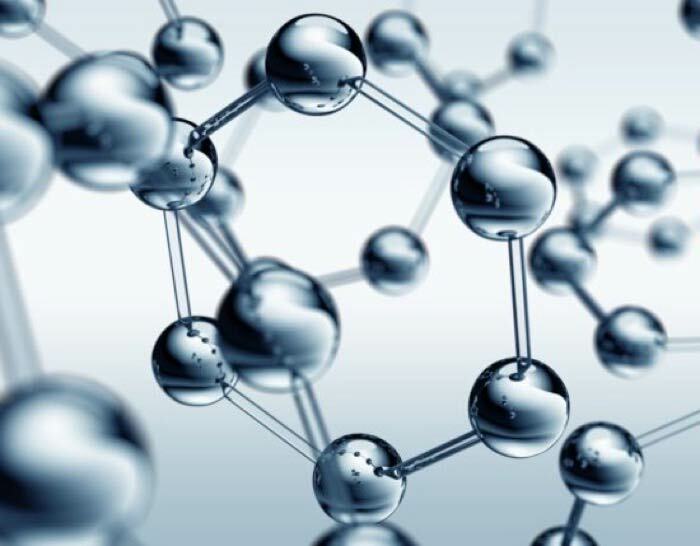 Their research has found that using peptides to help kick start a series of chemical processes can lead to the production of a hormone that creates skin pigmentation. "This pigment is called melanin, and this melanin then situates itself over your cells in the skin to protect them from UV radiation and other kinds of radiation," Hruby said. Clinical trials have shown that with the right dosage, a person's skin reacts in the same way that it would when getting a tan, but without the harmful rays of the sun. The risk factor is very low because the hormone is selective and in its natural state. It also serves as a precursor for preventing melanoma or skin diseases, according to Hruby. "The key thing you have to do to not get melanoma cancer is to protect the nucleus of your cell where the proteins and everything is made," Hruby said. He says their natural method is one step ahead of sun block because the melanin shields the nucleus of our cells from the sun's UV radiation. Two researchers from the University of Arizona used peptides and a hormone called melanin to alter the skin pigmentation of a gecko. They first tried this process on a gecko via injection. Within one minute of the hormone injection, the gecko's skin darkened. 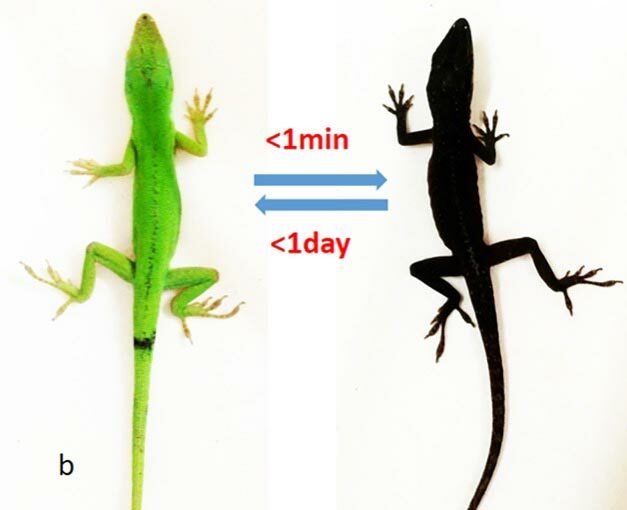 About a day after, it went back to its original color without harming the gecko, which is still alive today, Cai said. However, for much larger humans, Hruby says it takes multiple treatments over a couple of weeks to have a full tan that could last anywhere from four to six months. Both researchers are working to come up with a crème solution or some form of nanotechnology that allows the hormone to absorb through the skin without penetration. Their goal is to combine the solution with some of Cai's previous research that examined how modifications to specific hormones can destroy melanoma cancer in a mouse. 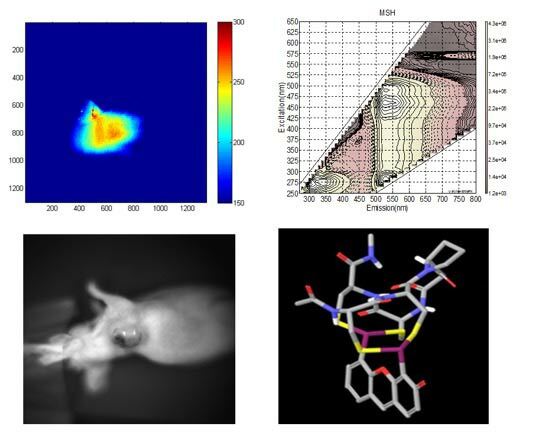 Dr. Cai's data using a florescent molecule on a mouse under a special light to determine early stages of melanoma cancer. "It took about three weeks to kill off melanoma cancer that was in a mouse," Cai said. However, it goes further than that. In the early stages of the mutation of melanoma cancer cells, there are no visual changes on the on the skin. Cai's previous research combined with the research into melanin has allowed them to use a fluorescent molecule that, when put under a light, can pin point early stages of melanoma cancer under the skin. Their research has recently been licensed through a startup company called MCR Therapeutics thanks to Tech Launch Arizona. Tech Launch Arizona serves as the middle ground for research and innovation from the University of Arizona and commercial entities. Overall, Tech Launch Arizona has facilitated the formation of 67 startup companies using technology and inventions from the University of Arizona.